Toronto has installed new sun shades above the slides at Corktown Common. The metal surfaces were becoming hot under the sun and caused second-degree burns to a young girl last year. The city has installed sun shades above the metallic slides in Corktown Common that burned a young girl last year. The fix comes after the city temporarily boarded up the entrance to the slides this spring, which was described as a "temporary measure." Why does Toronto allow metal slides? Toronto Mayor John Tory, who called the barriers a "ridiculous" fix, said the new canopies are a much more sensible solution. 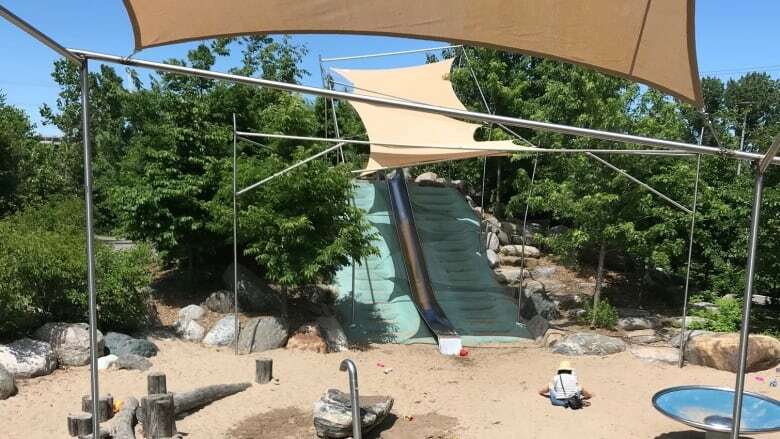 "These shades will allow children to use this slide on the sunniest days of summer and is exactly the kind of common sense fixes we should strive to find when everyday problems arise," Tory said in a statement. 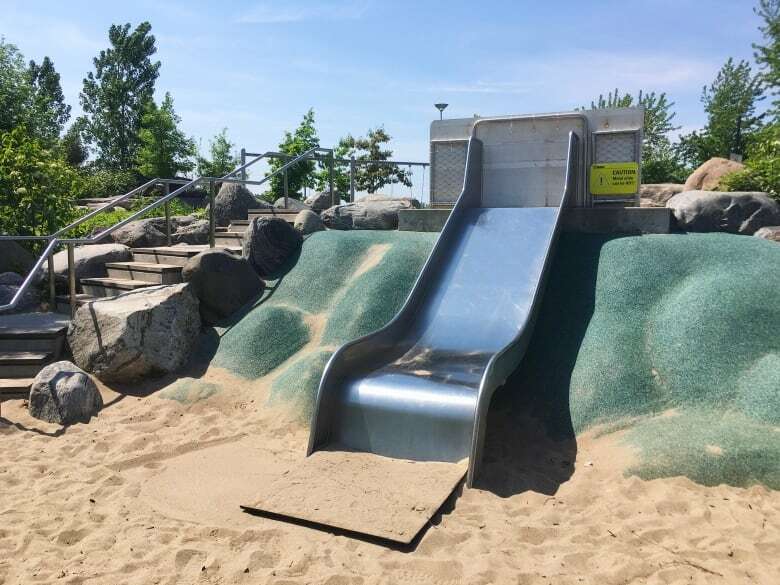 Last summer, a two-year-old suffered a second-degree burn from the metallic slide after its surface heated up under the sun. The new shades are designed to keep the metal surface of the slides cool during the summer months. The shades are expected to be removed once trees around the playground mature, providing natural shade above the playground. Once the trees are tall enough, the shades will be moved and re-used in another location, Tory's staff said in an email. In the wake of last year's incident, parents who take their children to the playground questioned why the city installed metal and not plastic slides at the park. "Maybe someone who didn't have children potentially had this idea," said local parent Melanie Gillians.